Over the past 45 years, Wolverine has become one of the most popular characters in the entire Marvel Universe, and it's easy to see why. Even before Hugh Jackman's long and hugely successful tenure as Logan on the big screen, the appeal was always right there on the comic page. He's got it all: the tough-guy demeanor, the mysterious past, and a set of superpowers that make him a resilient match for the toughest brawlers in comics. He's even got a cool costume. But despite his popularity — or maybe even because of it — a lot of the details about Wolverine are shrouded in mystery and misdirection. Multiple origin stories, conflicting retcons, and 120 years of an eventful fictional lifespan have provided plenty of opportunities for odd diversions, forgotten detours, and easy-to-miss details. Here are a few "facts" about Wolverine that you might just believe, even though they're actually not true. 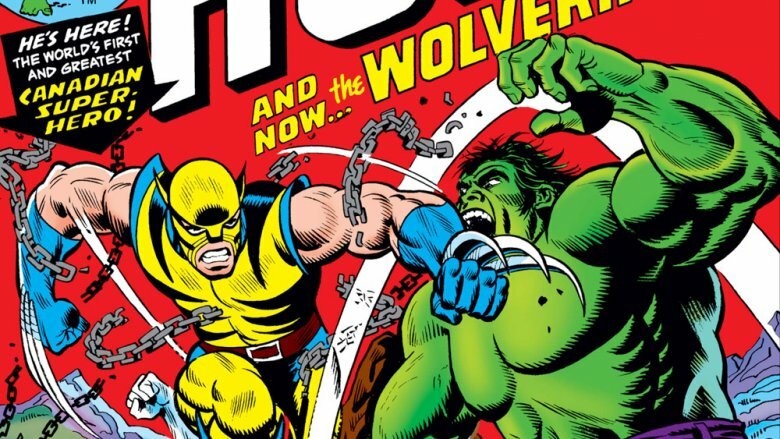 For most Wolverine fans, Incredible Hulk #181 is burned into their brains alongside Detective Comics #27 and Amazing Fantasy #15 as one of the most important issues of all time. That is, after all, Wolverine's first appearance, where Canada's resident mutant hero took on the Green Goliath in a brawl that would set up decades of enmity and uneasy alliances. 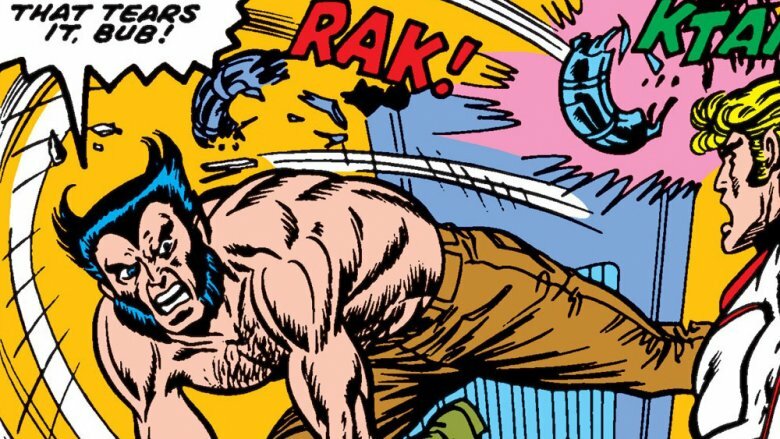 Sure, it's not the most dignified debut when you consider that Wolvie just gets unceremoniously bonked on the head at the end of the fight, but who cares? It's his first appearance! Or, technically speaking, his second. While Hulk #181 marks Wolverine's first major role in a Marvel comic, he actually makes a one-page cameo in the previous issue. So which one is the real first appearance? Well, it really depends on who you ask. For a lot of collectors, though, those kinds of brief teasers that set up the next story don't count as "full" appearances. These cameos are regarded as technicalities, and it's only the stories where they're featured that count. For others, though, that technicality is still pretty important, and leads to weird claims like Spider-Man's famous black costume first appearing in a promotional story that ran in Marvel Age, or Hellboy first showing up in a promo for San Diego Comic-Con — or possibly on the cover of a limited-run anthology that was only published in Italy. If you're a stickler for details, then Hulk #180 is the comic you want to get, but we can all agree that #181 is, at the very least, a more important issue. Considering how his mysterious past was revealed piece by piece over decades of X-Men comics, it's easy to imagine that Wolverine was always intended to be a man of mystery with a long and largely unknown past. In reality, though, that's something that came much later — when he joined up with the team in Giant Sized X-Men #1, he was originally meant to be a much younger character, and maybe even a teenager. It makes a lot of sense when you look at those issues. Aside from Sunfire — who didn't stick around, because joining the X-Men and then immediately quitting is sort of that dude's whole thing — every other character introduced as part of the "new" roster of X-Men was portrayed as the same sort of young characters who had always been part of Professor X's school. Colossus was even established as being only 19 years old, and Storm and Nightcrawler weren't much older. That makes sense, since artist Dave Cockrum had originally designed those characters as pitch for DC's Legion of Super-Heroes, a team of super-powered teenagers from the 30th century. He said it was his plan for Wolverine to be a young adult too, but that didn't happen. 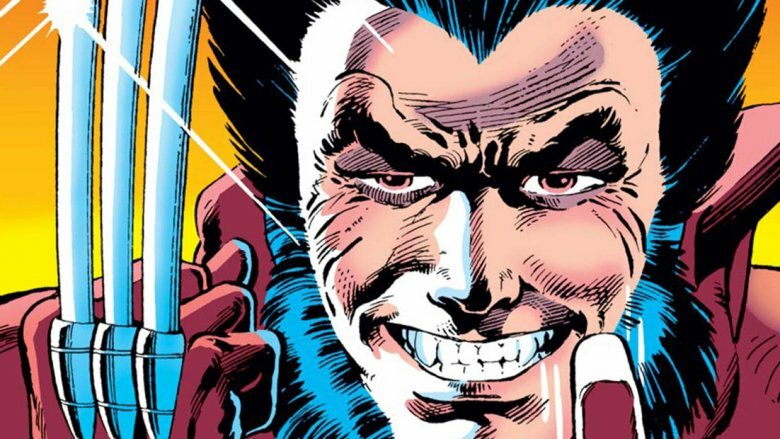 By the time readers first saw Wolvie without his mask, Cockrum had been convinced by art director John Romita that Wolverine should be a gruff veteran who appeared to be in his 40s, with hair mysteriously shaped exactly like the mask he wore. Alas, Wolver-teen, we hardly knew ye. A big part of the mystery that made up Wolverine's enduring appeal was that for years, readers only knew part of his name: "Logan." The problem was, we never knew which part it was. Was it his first name? Last name? His only name, like Madonna or Prince? No one knew for sure, but we definitely knew "Logan" was a part of it. In 2001, though, we learned that "Logan" was, in fact, zero parts of Wolverine's actual name. After years of his past being clouded in obscurity, it was "revealed" that he was actually born James Howlett, the son of a wealthy Canadian industrialist, in the early 1880s. The young James was a sickly kid who was bullied by his abusive father, a far cry from the Logan readers had known for years. As for where "Logan" came from, it was actually the name of the Howlett family's groundskeeper Thomas Logan, an equally abusive father to his own son, "Dog." The thing is, Thomas was Wolverine's actual father thanks to an affair with Wolvie's mother Elizabeth, passing down his distinctive hair to his illegitimate son. In other words, Wolverine is really Logan but is actually James Howlett who's actually a Logan, sort of, and sometimes he goes by "Patch." Maybe we should just stick to "Wolverine." Plenty of readers with an eye for romance might consider Wolverine and Jean Grey to be the one true pairing of the X-Men, despite protests from a certain spectacled square who was, you know, married to Jean. They have an undeniable chemistry and seem made for each other, especially if you watched those first three X-Men movies, when the Phoenix killed Scott Summers so hard that he landed in a DC movie, and Wolverine was there to hold her during a dubious emotional climax. Even his childhood first love in Origin was a dead ringer for Jean! It's destiny, baby. But while Wolverjean might be your OTP, it's definitely not the only romance that Logan's ever been involved in. He's even been married. Admittedly, that was a marriage of convenience that he was blackmailed into by a supervillain named Viper who used to be the leader of HYDRA, but despite such complications, it seemed like capital-letter True Love for sure. 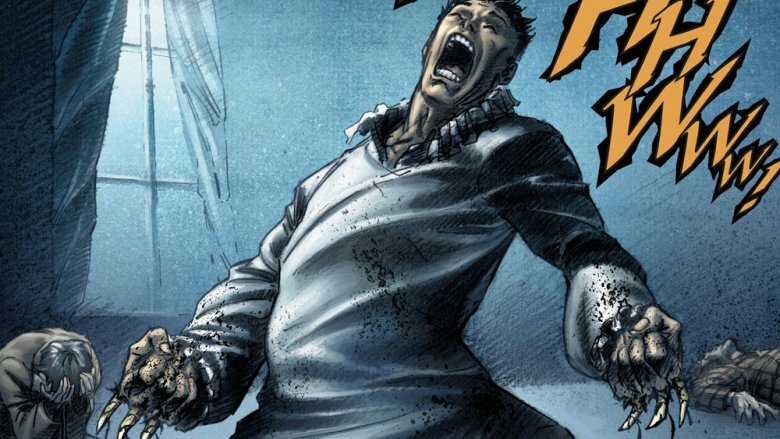 Unfortunately, Wolverine's romance with Mariko Yashida ended in heartbreak, just like most of his couplings. 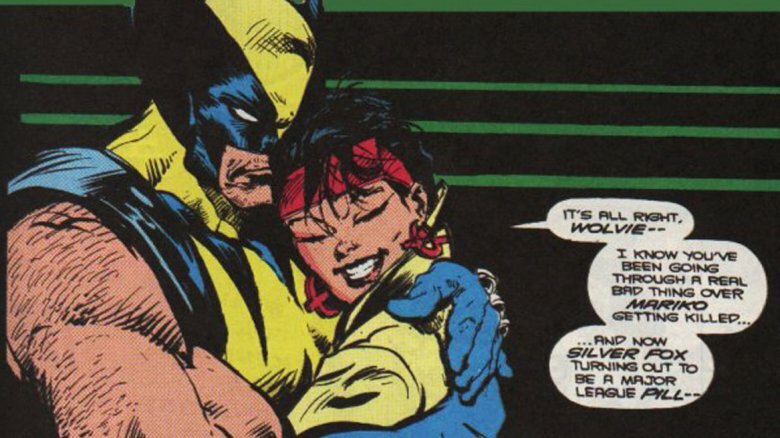 Beyond Mariko and Jean, Wolvie's been romantically linked to about a dozen other ladies in the Marvel Universe, including teammates like Storm and Rogue, villains like Mystique, and other heroes like Domino and Elektra. 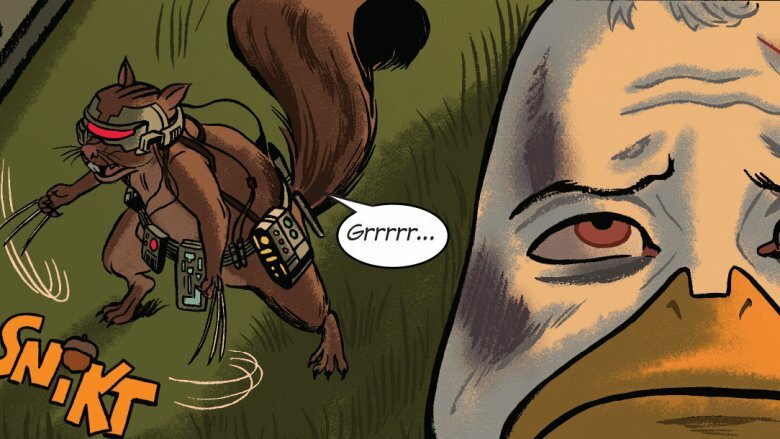 He was even implied to have a fling with Squirrel Girl, which is… pretty weird by any measure. Considering that he looked like he was in his forties in his first appearance, and that there's a popular story about an older version of Logan — called, appropriately enough, "Old Man Logan" — who eventually made his way into the core continuity, it's easy to believe that Wolverine is going to age like everyone else. Sure, his healing factor means that he ages much, much slower, but you don't get to Old Man Logan's grey hair and wrinkles without a little bit of aging, right? It turns out that Wolvie does age a little. Very little. Like, over the course of centuries. The first clue to that came in Uncanny X-Men #268, when readers found out that Wolvie had fought alongside Captain America and Black Widow during World War II, looking no older (or younger) than he did in the present. Slow aging, however, is one thing. It turns out that Wolverine is going to stay young at heart… forever. In recent issues of Thor, Wolverine was depicted as functionally immortal. 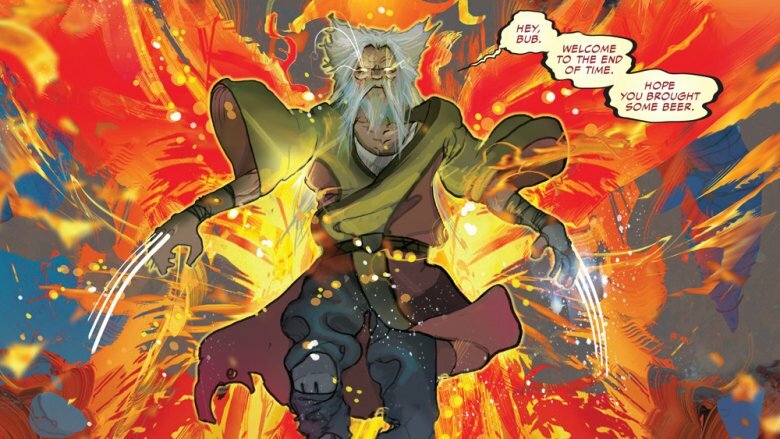 A million years in the future, once Earth itself has died and been resurrected by Thor, Wolverine will still be hanging out — not as Old Man Logan, but as Old Man Phoenix, bonded with the world-shattering Phoenix Force. If you're like most readers, the first word that comes to mind when you think of Wolverine is "claws." The adamantium blades are his signature weapon and arguably his defining characteristic, but while Wolverine's healing factor and enhanced senses were established as his mutant powers early on, there was a scene back in the '70s where his teammates were surprised to learn that his claws were a part of his body, and not just weapons hidden in his gloves. Following that, most readers assumed for years that his Adamantium bones and claws were the product of his time in the Weapon X program. Well, they were half right. Weapon X definitely added the unbreakable metal, but it turned out that the claws were already there. When the Adamantium was torn out by Magneto in 1993, Wolverine surprised pretty much everyone by popping a new set of claws made from bone. 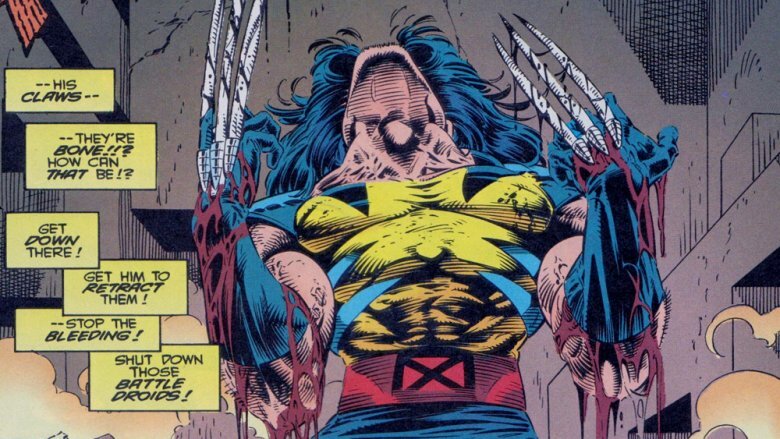 The other X-Men assumed they were a product of his body suddenly losing the metal claws that had been there for years, but as we learned more about Logan's past, we found out that the bone claws were part of his mutation, just like the healing factor. The fictional super-metal Adamantium is so strongly identified with Wolverine that most readers assume that it was created specifically for his character. Believe it or not, however, Adamantium actually predates Wolverine by five years, and wasn't even introduced in an X-Men comic. Instead, it first showed up as a plot device in the pages of 1969's Avengers #66, by Roy Thomas and Barry Windsor-Smith. In that story, after the legendarily resistant metal proved itself to be indestructible even by the combined might of Thor, Iron Man, and other, less impressive Avengers, it was stolen by a mind-controlled Vision (the "Betrayal!" of the story's title) and used to reconstruct Ultron. This was a pretty big problem, since the genocidal robot was a massive threat before, and now had a body that even the Avengers couldn't possibly destroy! Spoiler warning for a 50-year-old comic: they destroy it three issues later. The rarest metal in the Marvel Universe… sort of. While Adamantium wasn't introduced for Wolverine, it's definitely rare enough that he's one of the few characters to have it, right? After all, a metal that even Thor can't break would be a pretty big problem and a kind of annoying plot device if it was common enough that it could show up pretty much anywhere. Well, the truth is, Adamantium is exactly as rare as radioactive spider-bites, body-transforming gamma rays, and suits of Iron Man armor — which is to say, not as rare as you think. 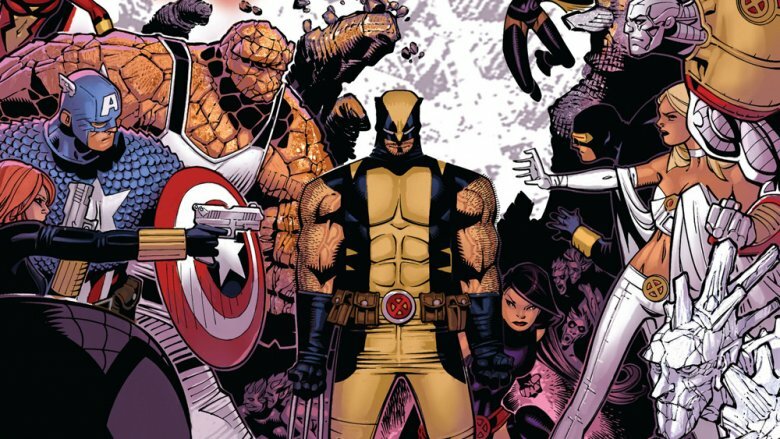 Wolverine might be its most famous owner, but if you're looking for Adamantium in the Marvel universe, you can find it on Sabretooth (skeleton and claws), Cyber (arms), Lady Deathstrike (bones and claws again), and of course, X-23, who has a set of Adamantium claws — and those are just the characters related to Wolvie himself. In the wider Marvel Universe, there are another couple dozen. Daredevil's arch-nemesis Bullseye has an Adamantium spine, the Constrictor's coils and Moon Knight's weapons are made of the unbreakable metal, and even Hawkeye has a handful of Adamantium arrows, just in case he needs them. The list goes on, too. 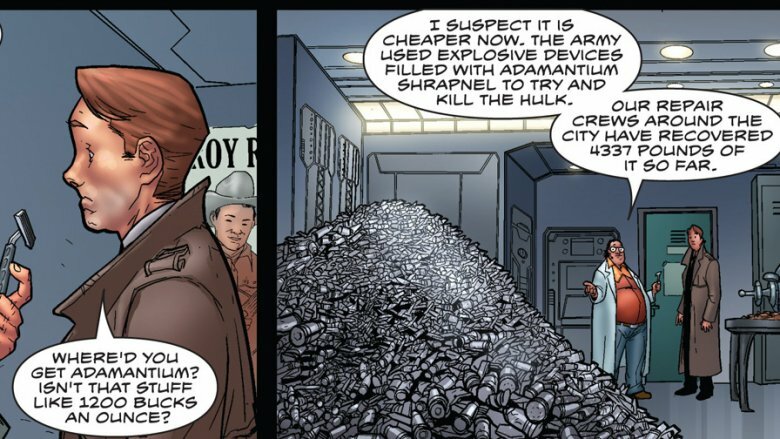 In fact, the disparity between Adamantium's supposed rarity and its common appearances in comics paid off in the pages of World War Hulk: Damage Control, where the Marvel Universe's foremost construction crew was able to recover over two tons of the stuff after S.H.I.E.L.D. shot Adamantium bullets at the Hulk from a machine gun. Those things go through ultra-rare fictional metal rounds faster than you think. With his Adamantium bones and a healing factor that allows him to recover from virtually any injury, Wolverine has never shied away from a fight. 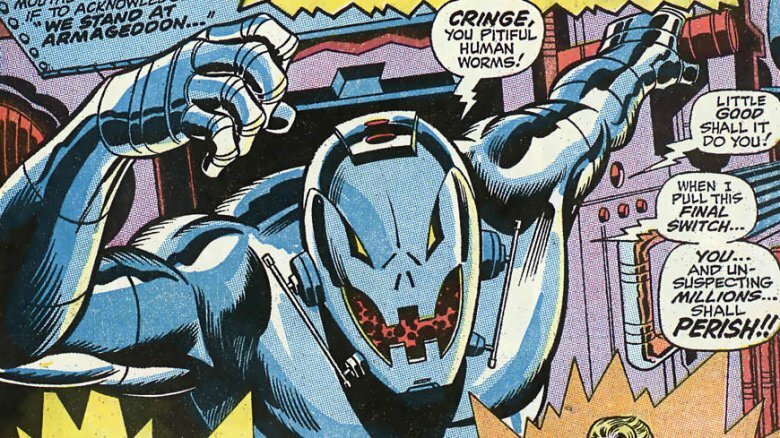 As a result, his years of brutal scraps have earned him a reputation as one of the Marvel Universe's toughest fighters. If you really look at it, though, an unbreakable skeleton and the ability to automatically stitch himself back together are really just superpowers that lead inevitably to getting the living bejeezus beaten out of you. Which Wolverine does. Often. There are examples all over the Marvel Universe, from the time he was crucified St. Andrew-style by the Reavers (Uncanny X-Men #251, 1989) to the Punisher running him over with a steamroller (Punisher #17, 2002) to getting his Adamantium ripped out by Magneto (X-Men #25, 1993), and even getting knocked out with the Vulcan Nerve Pinch by Mr. Spock (Star Trek/X-Men, 1996 — really). The great thing about him, of course, is that he always gets back up, but it's not hard to take him down in a fight. The Hand learned that the hard way in Mark Millar and John Romita Jr.'s "Enemy of the State" storyline. After killing Wolverine and resurrecting him as a demonic killing machine — that's another lost fight, for the record — the secretive ninja clan teamed up with Hydra and sent him on a mission to kill as many superheroes as he could. In short order, he was quickly beaten down by the Fantastic Four, Daredevil, and Phoenix in turn, before Captain America smacked him down with a single blow. Maybe next time they should try to get Squirrel Girl instead. Wolverine is a tough guy with a tragic past, a superheroic samurai who walks a lonely road, keeping everyone at arm's length lest they be drawn into his life of hardship 'n' misery. He's the ultimate loner… who once had so many team-ups that he was in 24 comics in a single month. Seriously, for a loner, this guy's on so many teams that if we start listing them off, we'd be here all day. Oh, what the heck, let's give it a shot. In his time as a superhero, ol' Lonely Logan has been a part of the X-Men, X-Force, the Avengers, the Secret Defenders, Alpha Flight, Team X, and of course, the New Fantastic Four. And those are just the big ones from the core Marvel U. If you start getting into alternate realities, there's one team that's just five different Wolverines hanging out with each other. But that makes sense. Every team needs a loner who can brood in the corner and push back against the team leader for always wantin' to do it the clean way when sometimes you need to get yer claws a little dirty… right up until it's time for him to do a tag team move where his friend literally throws him at their enemies. Okay, sure, he's been on a ton of teams (and once went 33 straight months where he appeared in at least one comic that saw him teaming up with another hero), but of course he is! He's one of Marvel's most popular characters, so they're obviously going to want him to be a part of their flagship teams. But there's no way that a loner like Logan would, say, be a father figure to a bunch of kids, right? In reality (or at least the fictional reality of the Marvel Universe), Wolverine actually has a long history of mentoring younger characters — particularly teenage girls like Kitty Pryde, Jubilee, and Armor. He's even acted as the headmaster of the renamed Jean Grey School himself, mentoring a whole new generation of mutants in the fine art of calling people "bub." His fatherly presence isn't just metaphorical, though. He has more than one kid of his own, too, to the point where five of them formed a supervillain team called the Mongrels to hunt him down for being a deadbeat. Beyond them, the Logan family includes an alternate future where he and Elektra had a daughter named Wild Thing, and a child he fathered with a cavewoman while he was hanging out in the jungle (really). 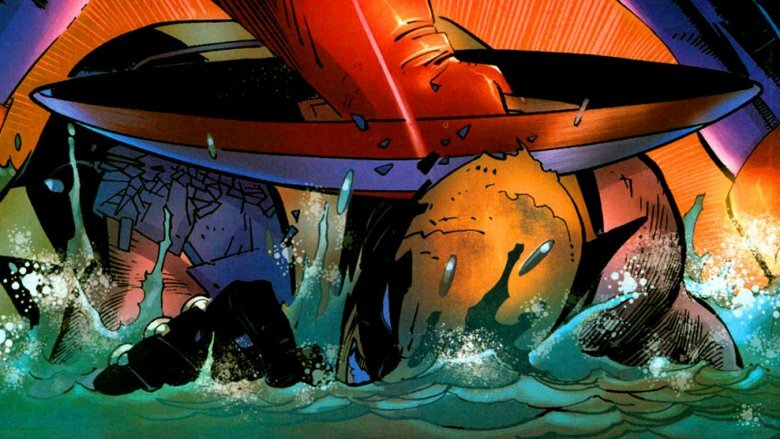 Oh, and of course there's his clone "daughter," X-23, and the villain called Daken, who he actually burned to death by stabbing him with his claws while they were on fire in what might be the worst example of parenting in comic book history. One cool thing about the Weapon X program — aside from the fact that it produced Wolverine, Sabretooth, Deadpool, and, uh, Maverick — is that it managed to pull off the kind of cool trick that you can only really do in comics. Since it was introduced in the context of an X-Men story — you know, the team that Professor X-avier named after their X-tra powers — readers had always assumed that "Weapon X" was just a cool name that was pronounced like the letter. And it was. Until 2002, anyway, when it was revealed in the pages of New X-Men that this time, the X was actually a Roman numeral. In the storyline "Assault on Weapon Plus" by Grant Morrison and Chris Bachalo, it was revealed that Wolverine wasn't "Weapon Ex," he was "Weapon Ten." As an independent research project financed by multiple governments, the Weapon Plus program was devoted to producing a super-soldier through various experiments. The first, of course, was Weapon I, or as we would come to know him, Steve Rogers: Captain America. There were plenty of others that were unified into Weapon Plus, too, including Nuke (the drug-addicted Vietnam-era super soldier Frank Miller created in his '80s run on Daredevil), who was revealed as Weapon VII. And then it got weird. Weapon II was a squirrel with mutant powers and Weapon XVI was a sentient religion that spread virally. Oh, and while we don't know his designation, the program also produced American Kaiju, a gigantic, ultra-patriotic lizard who used to be a soldier named Todd Ziller.